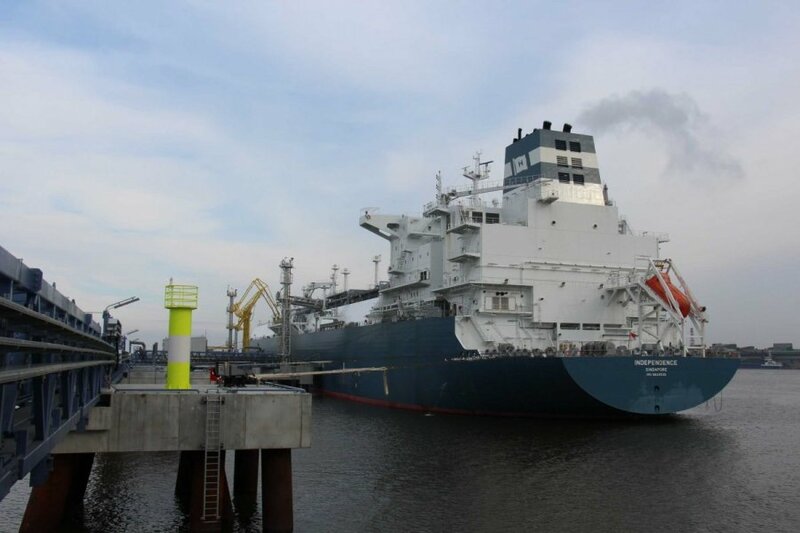 Lithuania’s Law on the Liquefied Natural Gas (LNG) Terminal, as amended, complies with the Constitution, the Constitutional Court ruled on Friday. According to the court, the provision, which identified state-owned company Klaipėdos Nafta (Klaipėda Oil) as the LNG facility project developer and which remained unchanged in the amended version of the law, was in line with the state’s fundamental law. In addition to that, the court established that the so-called LNG supplement, which was applied in 2013 and has already been scrapped, was legitimate. This means that Achema, the Lithuanian fertilizer manufacturer and the largest single gas consumer in the country, may eventually have to pay 14.2 million euros in that supplement, which it refused to pay in 2013 and challenged in court. “The Constitutional Court has finally dismissed all doubts, if there were any, of transparency and legality of the LNG facility project. It’s an additional solid proof that Lithuania is able to ensure transparent and high-quality implementation of vital projects contributing to the country’s energy security,” Energy Minister Rokas Masiulis said in a press release. Opposition leader and former Prime Minister Andrius Kubilius told reporters that the court’s decision was important as it would put an end to Achema’s bad practice of looking for loopholes to evade statutory taxes. Meanwhile lawyer Gytis Kaminskas, who represented a group of Social Democratic MPs, including Vytenis Andriukaitis, the current EU Commissioner for Health and Food Safety, stated that the court’s decision showed that it continued to apply double standards. Rytis Budrius, chief lawyer at Achema, said that the company expected a different decision. The fertilizer manufacturer would study the court’s arguments and would consider ways to end ongoing litigation in courts, he said. “We hope that the authorities will consider changes in the natural gas sector brought by a drastic decrease in natural gas consumption and the resulting disproportionate growth in the burden on our company,” the lawyer told reporters.